The syllabus for this course is in accordance with IMO Model Course 1.22 “Ship Simulator and Bridge teamwork” and satisfies Regulation 1/12 of International Convection on Standard of training, Certification and Watch keeping for Seafarers 1978, as amended in 1995 and Section B-1/12 of the STCW code. The course is designed to increase teamwork and the effective use of the Bridge Resources by the bridge personnel. Leadership in emergencies, Human causes and factors in casualties are delved into in exercises and cases studies. 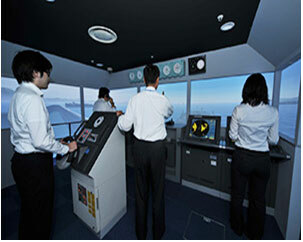 Simulator sessions emphasize in Judgment, voyage planning, teamwork, communications, error trapping and relationship with pilots.